You are very excited about your travel, you prepare everything and every step right. The day of your departure arrives, load your car and take on the road, or get a ride with your luggage and head to the airport, the train or the seashore. You are thinking, I can’t wait to record and tell the story of my trip. The question is, what story will you tell if you lose your luggage, your child or your pet? Losing something or someone while traveling is the biggest travel spoiler. No one wants to experience losing your child, your pet, your purse or your luggage during your trip. Where can you lose your item during a trip? The hotel, at the lobby or in your room. the parking lot, the campground etc. 15% of the 78M dogs and 86M cats in the US only are lost every year (Trackimo, 2019). I can not describe the nightmare you went or can go through when you lose your child, pet, family member, or your belongings when on a trip. It is certainly awful. Such an incident will defocus you completely from your trip and create an unsettled situation that goes on for days, month, and even years. It is not a pretty situation that requires a highly welcome solution bringing you peace of mind. There are various solutions out there, it all depends on the type of trip. Most of them involve search using very limited systems, the police, and the community. When your child or your mother or father are missing, it can be not only scary but time-consuming and highly costly. The most concerning of it all is the uncertainty of the outcome. Will my relative be found? Will my car be found? will they find my backpack lost in the mountain? Can they retrieve my purse forgotten inside a mall restroom? Etc. There is a solution that can give you a total piece of mind. With that device, you know that, no matter how bad it may look, you love one, your luggage, your car, your pet or purse will be found. No need to worry. I know you are asking how can that be possible? Let me introduce V-Bag TrackiSafe and Trackimo. V-Bag TrackiSafe and other Trackimo devices are the Internet of Things (IoT), your ‘personal assistants’, taking care of the security of your items, your pets, and your people. V-Bag TrackiSafe is the most commanding, trailblazing, Anti-theft tracker for luggage. This Luggage Tracker enables censoring and watching your suitcases or bags anytime and anywhere seamlessly! According to Trackimo, The V-Bag TrackiSafe Luggage Tracker pairs with user’s smartphone through the free, user-friendly TrackiSafe app, available on Google Play and the App Store. The light combined to motion sensors on the device allows you to receive instant notifications on your smartphone if your bag is abruptly opened or moved. The simple, convenient, credit card-like device design is precisely made for travel. Its thin, smooth and lightweight shape makes it almost not perceivable in any baggage because it takes very little space. Additionally, no need for ridiculous roaming overage charges using your smartphone as GPS tracker internationally. With the Trackisafe, you can monitor your luggage in more than 90 countries worldwide without any unpredicted costs TrackiSafe save you time and money at the same time! 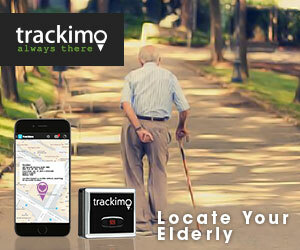 Discover more potential with the Trackimo products. Remember, our goal is to make your travel fun. Our Motto ” The one Stop for all Travelers.” We recommend you take this seriously. Same as the travel insurance, consider your safety, the safety of your valuable, your pet, and your loved ones. Your peace of mind is very important for travel fun.